Here at the Lawler Group, our team of professional executive recruiters in Milwaukee prides itself on effectively operating as a “recruiters without boundaries” operation. 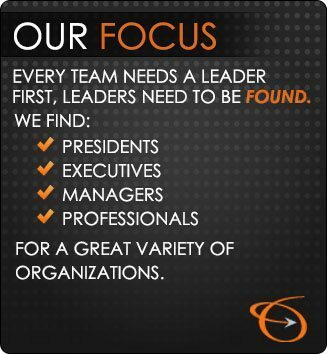 Our proven track record for placing relocation candidates speaks for itself; the Lawler Group can successfully place executives at virtually at any company in virtually any region of the country. While our firm of highly-skilled executive recruiters in Milwaukee understands how to navigate through a relocation placement, it’s important to note that the process itself is not an easy one. At the Lawler Group, we truly understand that relocating for a position can prove a stressful and challenging endeavor for even the most self-assured applicant. That’s why we partner with our candidates throughout the hiring process to help ensure that they not only understand the many benefits a relocation can offer, but also are prepared to manage any of the obstacles that may arise throughout the experience. Will I be moving alone? Do I know anyone in the area? How expensive is the cost of living compared to my expenses now? What type of housing is there? Additionally, when partnering with the Lawler Group, we will also work hard to help you understand the operational history of the company you’ll be working with as well. By knowing the specifics of your new place of business, you’ll be able to make an informed decision about whether the benefits truly outweigh any obstacles and drawbacks. Most importantly, you’ll be able to determine if your new job represents a temporary stop in your overall career, or will serve as a long term location for professional growth and development. And so much more. At the Lawler Group, we truly understand that moving for a new job opportunity is a major life decision. That’s why we offer so many internal resources and online tools to every candidate we work with. By giving our partners as much information as possible, we can help applicants confidently move through the hiring process for a convenient and successful relocation experience. Want to hear more about how the Lawler Group’s team of executive recruiters in Milwaukee can help you achieve a successful job relocation? Contact us today for more information!